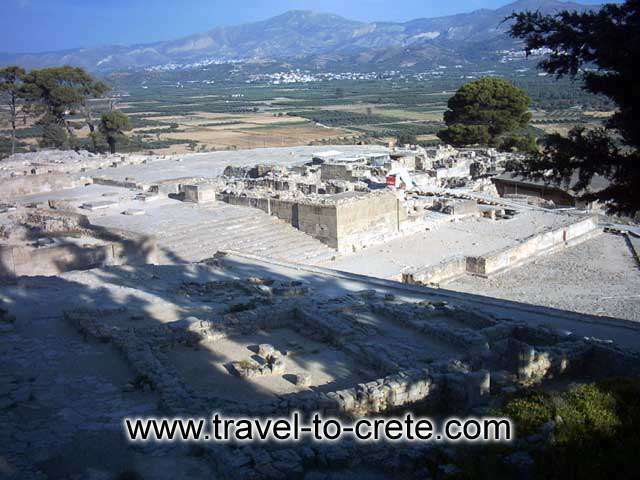 Phaistos was one of the most important centres of Minoan civilization, and the most wealthy and powerful city in southern Crete. 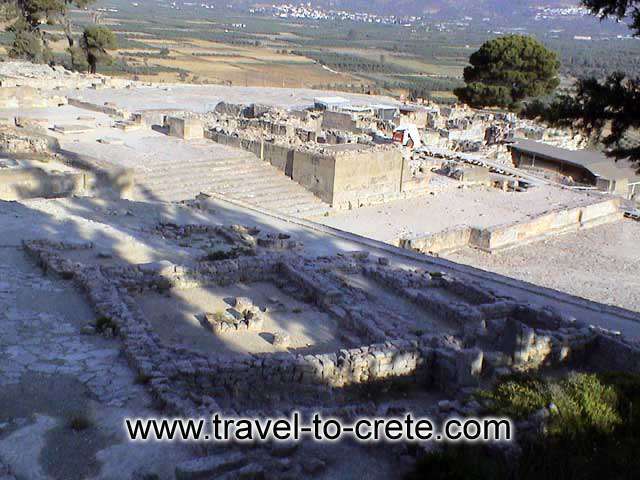 It was inhabited from the Neolithic period until the foundation and development of the Minoan palaces in the 15th century B.C. 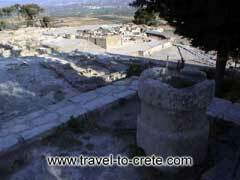 The Minoan city covered a considerable area around the palatial centre. 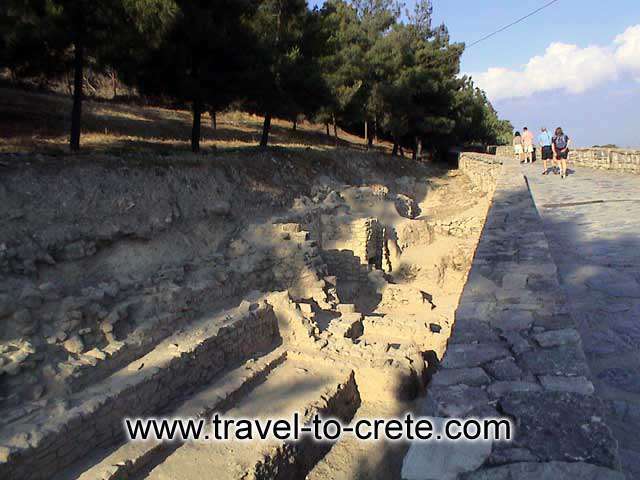 After the destruction of the palace in the 15th century, the city continued to be inhabited in the Mycenaean and Geometric periods, that is, until the 8th century B.C. Later, the temple of Rhea was built to the south of the old palace. 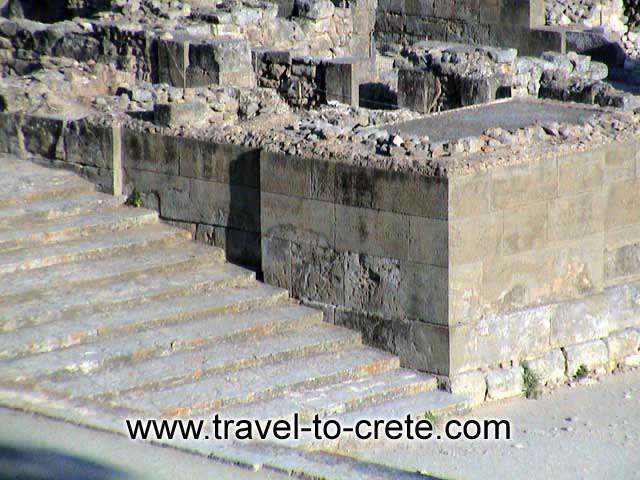 The Hellenistic city was extremely prosperous; houses of the period are to be seen in the west court (upper terrace) of the palace. In the middle of the 2nd century B.C. it was destroyed and dominated by the neighbouring city of Gortyn. 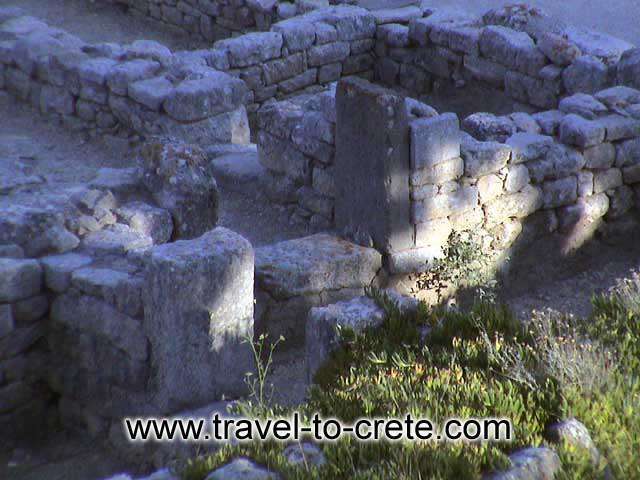 Traces of habitation dating from the Venetian period are scattered in the whole area. 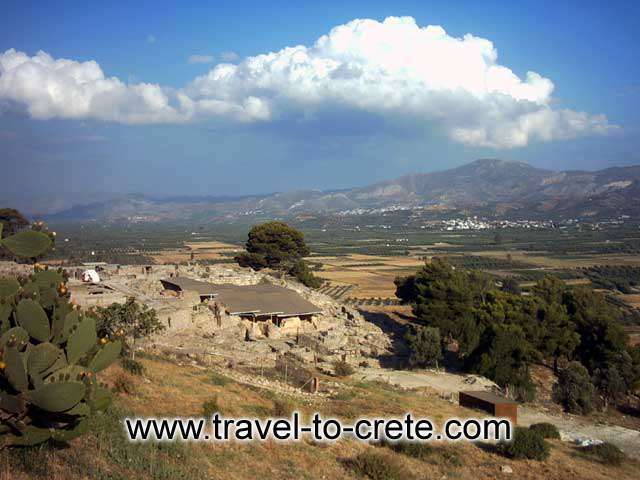 The archaeological investigation of Phaistos started in 1884 by F. Halbherr and continued by the Italian Archaeological School at Athens, under the direction of F. Halbherr and L. Pernier in 1900-1904 and by Doro Levi, in 1950-1971. Along with the excavations, consolidation work was carried out by the Italian Archaeological School. Some of the monuments, mainly the old palace and the royal quarters of the new palace, were protected under plastic sheds, while others, like the storerooms of the new palace, were covered with a concrete roofing.